I just received the Garmin GHP 10 Autopilot (their new version of the TR-1 Gladiator). Could one of you at the factory please tell me where you typically mount the pump, ECU, and CCU when you've installed the TR-1 on a 290DC? I'm having a hard time coming up with a clean install that accommodates the relatively short cable runs that Garmin supplies while keeping the CCU away from magnetic and electrical interference. Thanks! Re: 290 DC Autopilot Installation? You probably need to call the factory as monitoring of this website is sporadic at best. I suggest you ask for Scott Ellis. I've tried calling and left a couple messages. Call us at the factory(252)-641-8000) we will help you out!! I have a 07 33TE with the TR-1 auto pilot. 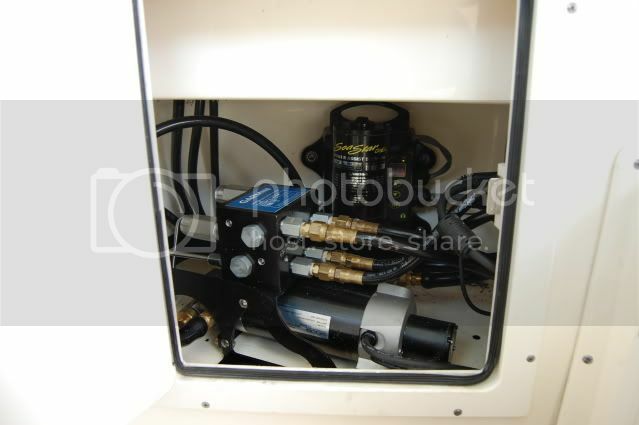 I have operated all types of boats from 65 footers on down and all types of auto pilots. My 33TE with the TR-1 gives me the best track I have every experienced and is very easy to calibrate. 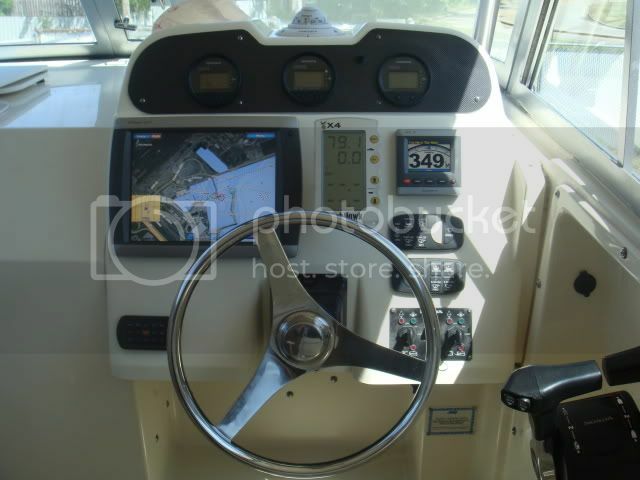 My other boat, 06 41XF Albemarle, has a Simrad AP and suprisingly works very well but if I have troubles with it I will change it out to a TR-1 or whatever Garmins now calls it since they have now bought the product line. I can take pictures of the installation but I am not sure how the 33 is layed out vrs the 29.